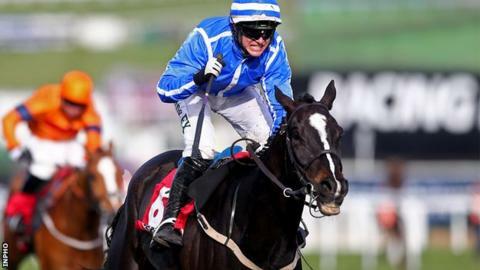 The Willie Mullins-trained Penhill has been withdrawn from this year's Cheltenham Festival through injury. The winner of the 2018 Stayers Hurdle will not be able to defend his title after suffering an injury on Tuesday. The eight-year-old was the second favourite behind JLT Hurdle winner Paisley Park for this year's race. It is the second time in three days that a leading festival contender has been ruled after Arkle Trophy fancy Le Richebourg was injured on Monday. The six-year-old was leading the market for the opening-day Grade One contest before suffering a season-ending injury in a work out last weekend.